oh my gosh, i looove this outfit, I think one of my favorites you've posted. that top is amazing--off to hunt for it on lulu's now. Wow those shoes are awesome and such a bargain. I got some similar to them last spring in the clearance at Target for nearly that cheap, but not quite! I really love your new shorts paired with the cute yellow top. Daaaamn girl! Legs for miles! Cute outfit! Love the new shorts! That's so cool that someone recognized you! your new shorts look AWESOME with mustard yellow! and yay, h&m! I love winter shorts! very chic! H&M is a weird store for me. I was really excited to get one in Tacoma but then I visit and don't really find anything. I see things (like your shorts) on other bloggers and on the website that I adore - but actually in the store? Meh. I can't believe you just got H&M, that's very exciting for you!! 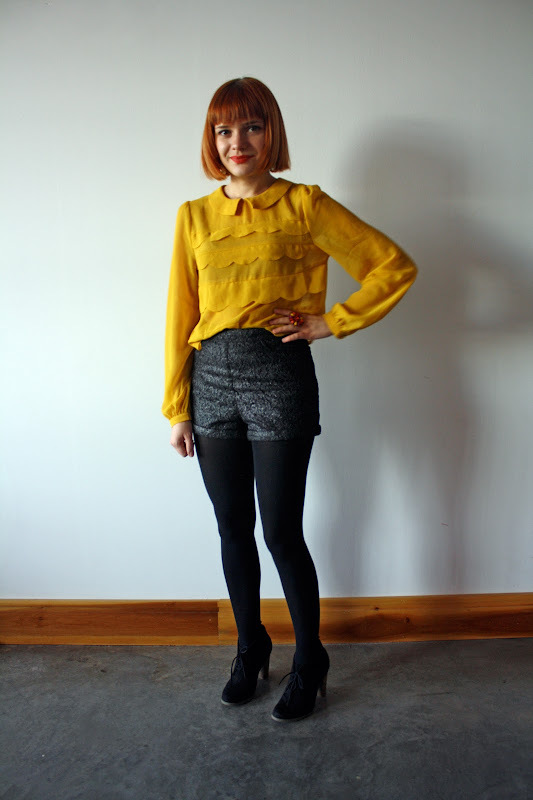 I absolutely love this top, it's the most gorgeous colour and looks great with those brocade shorts. Come check out my Shabby Apple dress giveaway Win the perfect dress just in time for those holiday parties! Sunflower outfit is nice and very unique concept. I just love it. She looks absolutely amazing. Great outfit! I am so not cool enough to wear winter shorts! 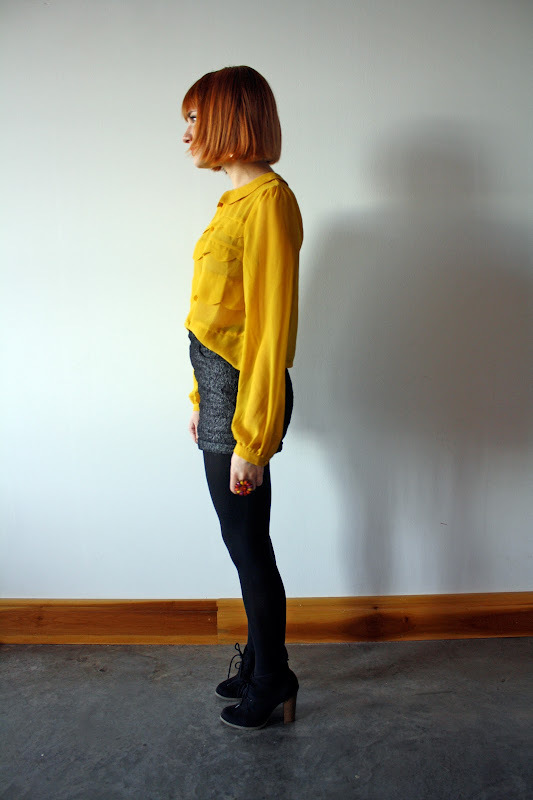 I love the shimmer in the shorts and the bright mustard top. Great mix! Ok seriously I LOVE this! That top is amazing! Well it's all amazing!! !